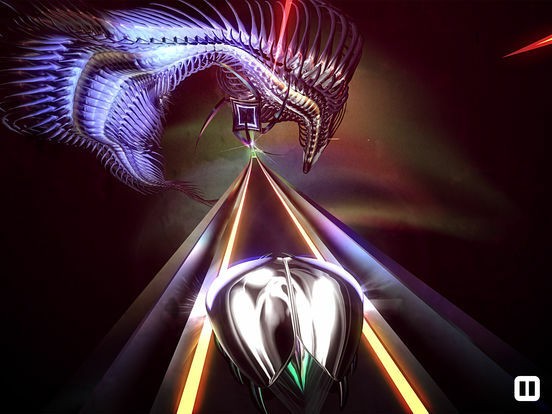 Thumper is rhythm violence: classic action, blistering speed, and brutal physicality. 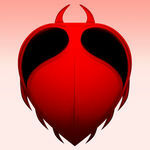 You are a space beetle. Brave the void and confront a maniacal giant head. 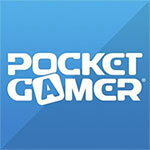 With this special pocket edition, you can play all nine epic levels with one hand. Hurtle forward, master new moves, and survive terrifying boss battles. Propelled by a pounding original soundtrack, you'll feel every crushing impact. To reach synesthetic bliss, you must conquer rhythm hell. 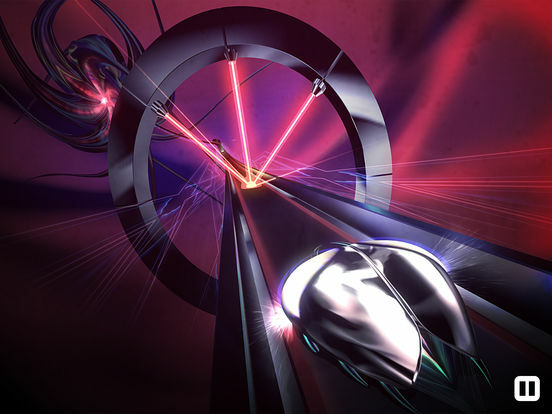 Thumper is very much not my kind of game. If it’s yours, fine, but I still wouldn’t necessarily recommend it on mobile. There are some control and technical issues that hold it back, even if you like what this game is trying to do. 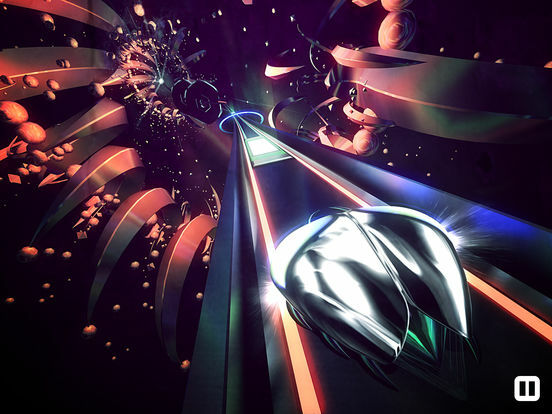 Thumper's visuals are stunningly beautiful. The game has some psychedelic graphics that feel incredibly futuristic, and everything is rendered in gorgeous 3D. 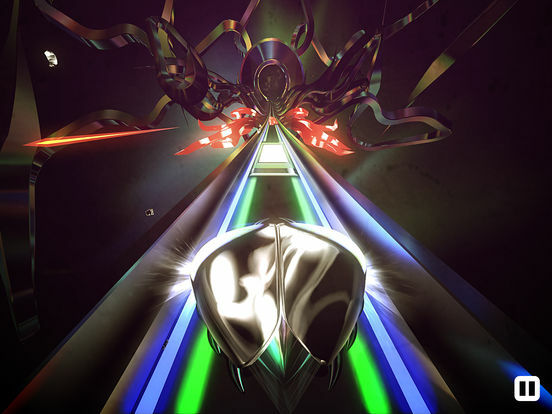 Thumper's dark background is excellently contrasted by the bright and vivid neon lights of the track and sparks, and the space beetle is super shiny and glassy. Explosions are high-octane and fun to watch while being highly satisfying. 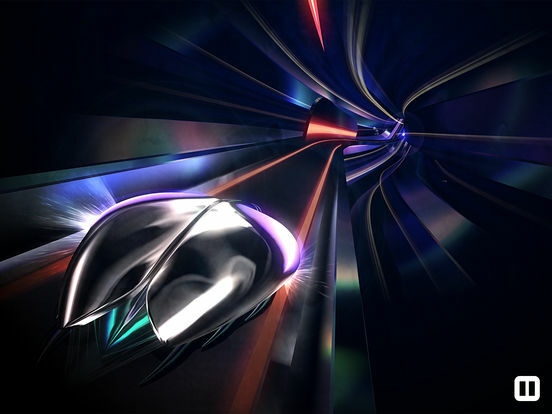 Thumper runs at a smooth 60 frames per second, even on my iPhone 8 Plus, so there's zero lag. Is it a good game? Yes. Is it a game that's going to slice the people who play it down the middle like, well, like a space beetle slicing through a bizarre interpretation of a hyperdrive trip infused with psychedelia? Yes. If you've read this review, I hope that you know which side of that line you're on. Because if you pick the game up and it turns out you're towards the screaming and never forgiving the game end of the spectrum, you've got a pretty bad three minutes waiting for you just down the line.